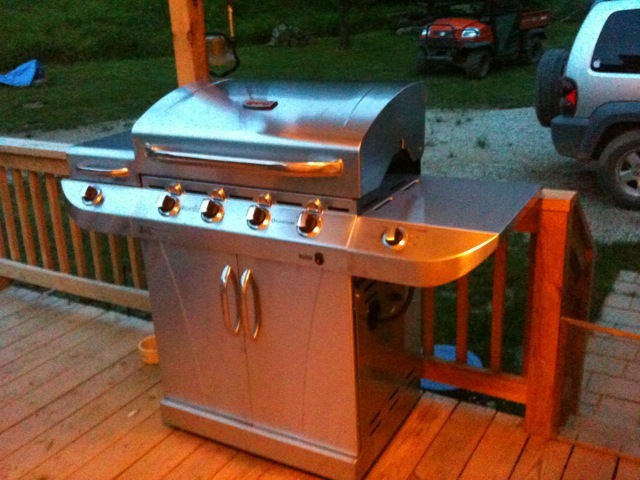 Sonny liked his new birthday grill so much that he wouldn’t let me put the cover on it. He had to sit on the porch swing and admire it a while. I think it even has a compass in the stock ( you know what I mean if you have seen “The Christmas Story” about the Red Rider BB gun with a compass on the stock and a thingy that tells time). At least he won’t shoot his eye out with this, but he might have to watch out for some flying hamburgers. Looking forward to some good BBQ next weekend. Our little Phoebe has a full nest again. She has returned to the same nest located on the down spout right outside the bathroom window for about three years now. 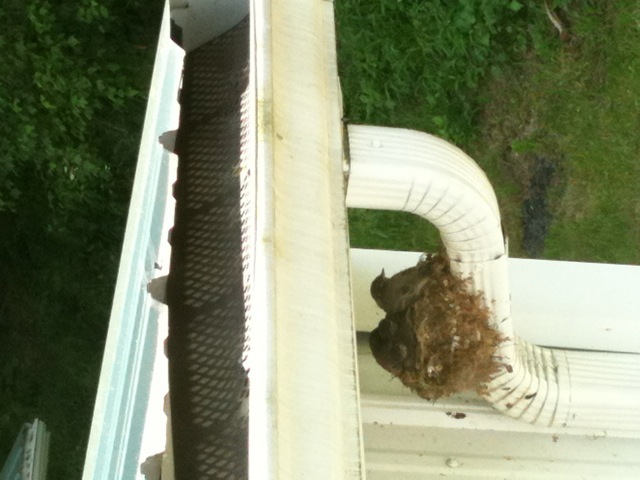 These babies are her first brood this year and she will have another one after these are grown and fly away. From the looks of them it won’t be long. Mama Phoebe is there on the right tending her young. There is no room now for her to actually get into the nest. It is always a joy to watch her little family hatch and grow up. I usually go shopping on Mondays, but I ended up going into town today instead. Lowes was one of the stops on my list and I couldn’t resist passing through the plant department. There were tall racks filled with flowers in so many hues that they reminded me of a box of Crayola Crayons. Which ones to choose? There isn’t much room in the budget for flowers but I had to have some. 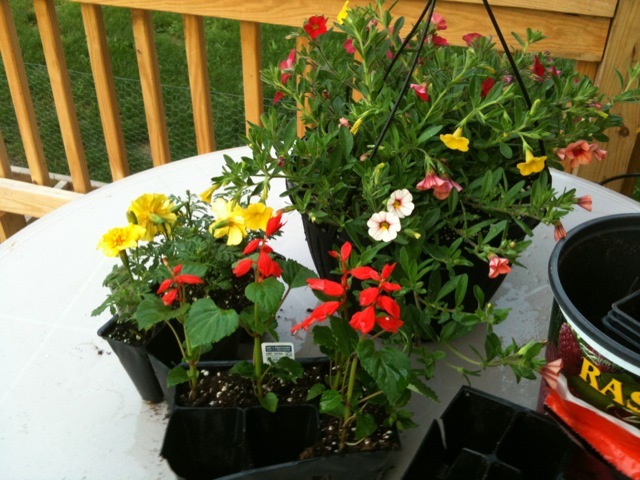 I found some nice ones for .99 cents a six pack, so I loaded my cart with yellow French Marigolds, red Salvia and Variegated Vinca. They should fit nicely in the porch planters. There are enough flowers left over after filling the planters for another container. I have a couple in mind but there are only so many hours in a day and they will have to wait until tomorrow. There was also a hanging basket filled with pretty little flowers, like wild flowers that are my favorite. Don’t worry Sissy. There is still the flower bed around the stump to do when you come out. So start thinking about what to put out there. Maybe we’ll even fill some more containers to put around PHF. I have noticed that my pigs are not early risers. I don’t believe they get up before 10:00 a.m. even when their breakfast is delivered. As fast as they grow you would think they would be hungry all the time and be especially anxious for their morning feed. My black rubber wellies made a squish slurp sound as I trudged through the mud at about 7:30 this morning, a galvanized bucket of pig feed swinging in my right hand. The pasture is still so wet and muddy that I can’t drive the RTV back to the pig palace. As I approached the fence I could see a mound of pink skinned piggies piled on a hay mattress in the left corner of the pig shelter. It looked like a frat house after a long night of partying. No one moved or appeared to be alive as I poured their morning cereal into the feed bowl. I hollered out “It’s time to get up!” The only response I received was an aggravated twitch coming from the back of a pig facing away from me. Another one slowly lifted its head, blinked a few times and then yawned. What did they expect breakfast in bed? This is a farm not the Waldorf Astoria Hotel. I hollered again and beat on the bucket trying to get some reaction from them. Again no one moved except for the aggravated twitch of a back. My motto is usually that if I’m awake then everybody should be awake but today I left them to their sleepy stupor. I don’t know whats going on out there at night, but I suspect the wild turkeys are bringing in some moonshine for boys. As usual the chickens were wide awake. 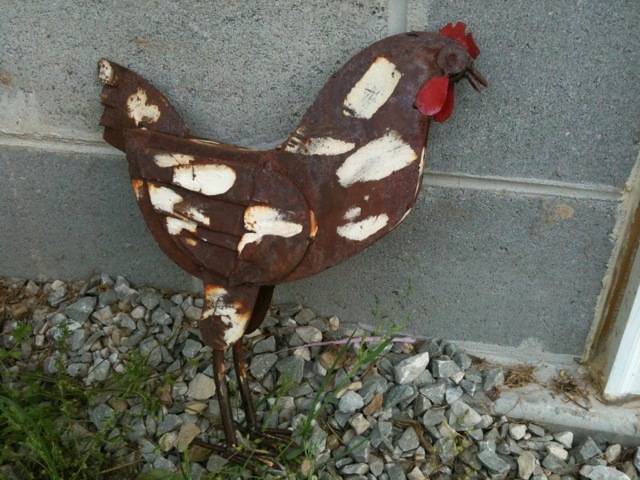 The rooster was crowing “Let us out” as I walked past the coop and I yelled back, “Lay your eggs!” If I let them out too early then I find eggs in other places, so I usually let them out at about 9:00 or 10:00. I have one hen in particular that likes to lay her eggs anywhere but in the coop. Today there were four eggs in the nesting basket of the coop when I let everyone out and later on when I rechecked there was one more. So today she was a good girl and laid her egg in the right place. The little hens are growing up fast. They now get up on the roost at night instead of hiding behind the nesting basket or feed bin. The four of them mill around the farm together like a little clique. They don’t follow the others and still like to stay in the vicinity of the coop, but as soon as they are old enough I’m sure Roo Roo will have them rounded up with the rest of his harem. I just hope that wild turkey with the moonshine doesn’t corrupt my chickens like it did those frat house pigs. 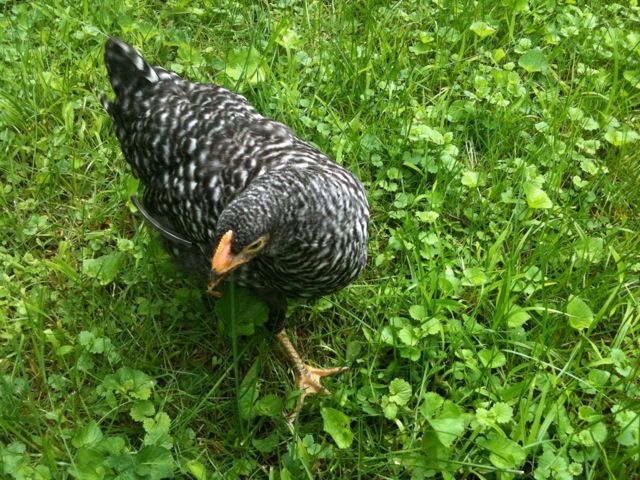 Young hen looking for bugs in the grass. A warm sun shone us today as we carefully removed twelve brown speckled eggs from their cozy nest. I was surprised that Mama Guinea didn’t throw a fit and start hollering for her mate to come and thwart the evil farmers stealing her babies. I slowly approached the nest talking to her in soothing tones as I carefully stuck my hand beneath her to take an egg. She tolerated the removal of about three eggs then huffed off the nest making soft squeaking sounds that were almost inaudible. I’m not sure I want to know what she was saying. She stood just a arms length away and kept a weary eye on me as I gingerly picked up each precious egg and placed it into an egg carton. I actually thought better about the egg carton after the fact, thinking that a towel lined basket would have been a better choice. That way the eggs would be in the same position they were in the nest. I don’t know maybe it doesn’t make a difference. I only selected a dozen, leaving her with ten eggs to tend to. When I moved away from the nest she immediately inspected her off spring then squatted down on them as if nothing had happened. 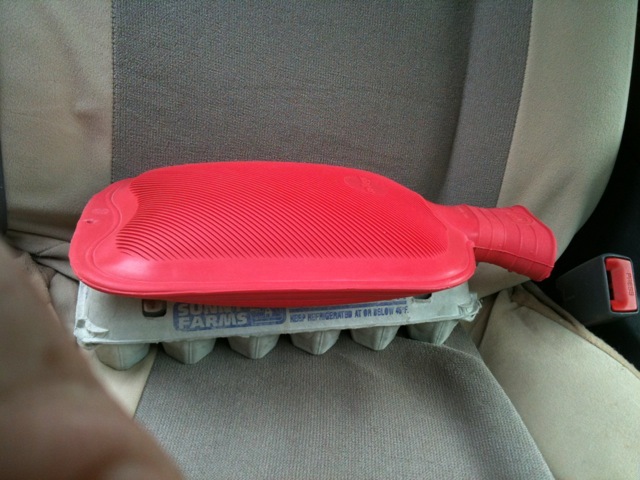 To keep the eggs warm I filled a hot water bottle, placed it on top of the carton and wrapped a towel around whole package. I had to wait a little while before heading over to Two Lynne’s Farm so I hope the tiny eggs fared ok and stayed warm enough. Again I am no expert at this kind of thing. I don't know what I was thinking putting them in an egg carton. 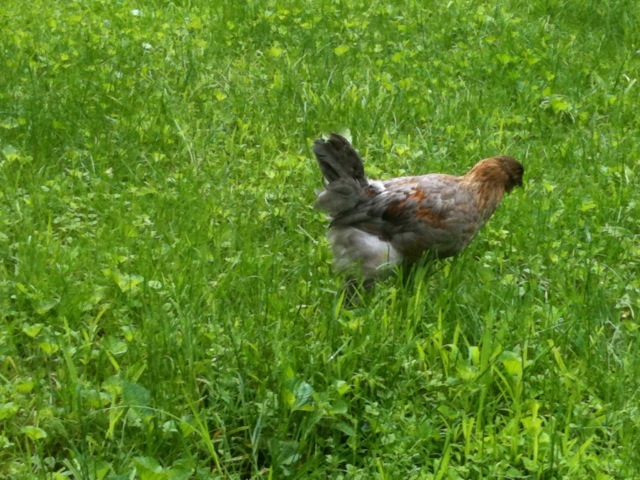 When I arrived at Two Lynne’s Farm we took the eggs to their new surrogate mama. Her name is Turkey Lady and she is a beautiful bird. 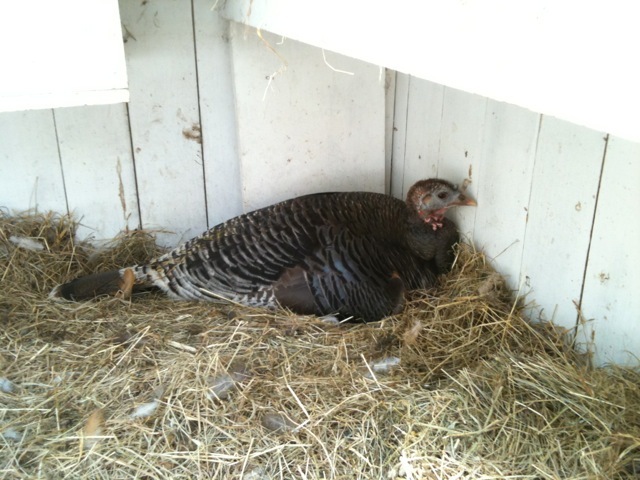 Turkey Lady desperately wants to hatch out a family and has been sitting on two eggs of her own. 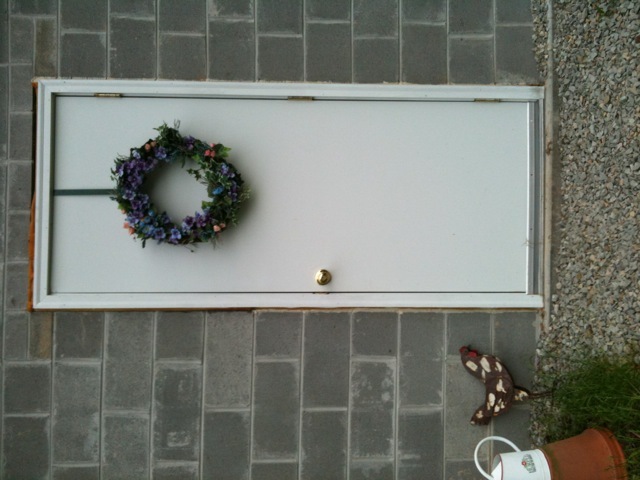 Unfortunately there is no male turkey on the farm so they are unfertilized. Lynne and Sandy have let her set on them to ease her broodiness. Turkey Lady is a sweetie and she was very patient as I placed the twelve eggs beneath her warm feathered body. I stroked her back and talked softly to her to keep her calm. She just turned her pretty head and eyed me as she willingly excepted each little brown egg. I have no doubt in my mind that she will take good care of the little guineas. Turkey Lady setting on the guinea eggs. In payment for the services of Turkey Lady, I gave Lynne and Sandy a goody box containing my home canned tomatoes, pear sauce, pumpkin and squash conserve. We also agreed that they could keep half of however many chicks hatch. We will see how well our little guinea mama will do in hatching whats left of her brood. Hopefully we will be able to catch them when they finally hatch. We wanted to at least let her try to hatch a few on her own. All we can do is hope for the best and let each bird have the satisfaction of being a mom. 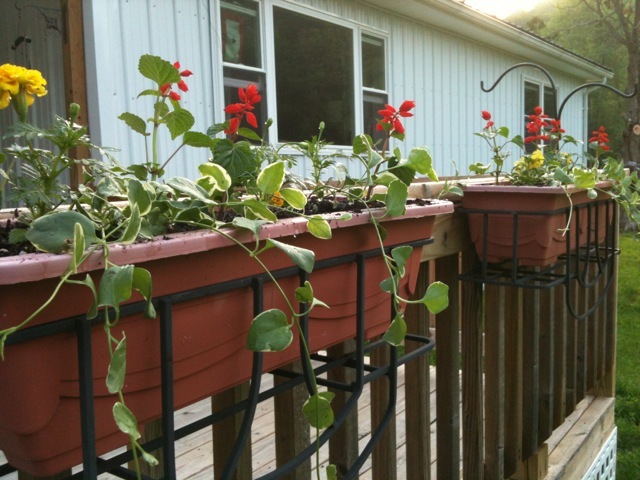 You are currently browsing the Off-Grid in West Virginia blog archives for May, 2011.